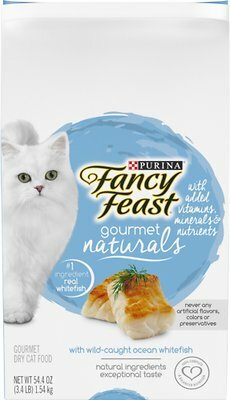 Create a gourmet dining experience when you fill your cat's dish with Fancy Feast Gourmet Naturals Wild Caught Oceanfish Dry Cat Food. Real ocean whitefish is the first ingredient in this recipe, followed by natural ingredients, vitamins and minerals for a meal that's fit for her discerning palate. The satisfying crunch and delicious taste will give her something to purr about every time you reach for a bag, and you can rest easy knowing this recipe is crafted without artificial colors, flavors or preservatives. 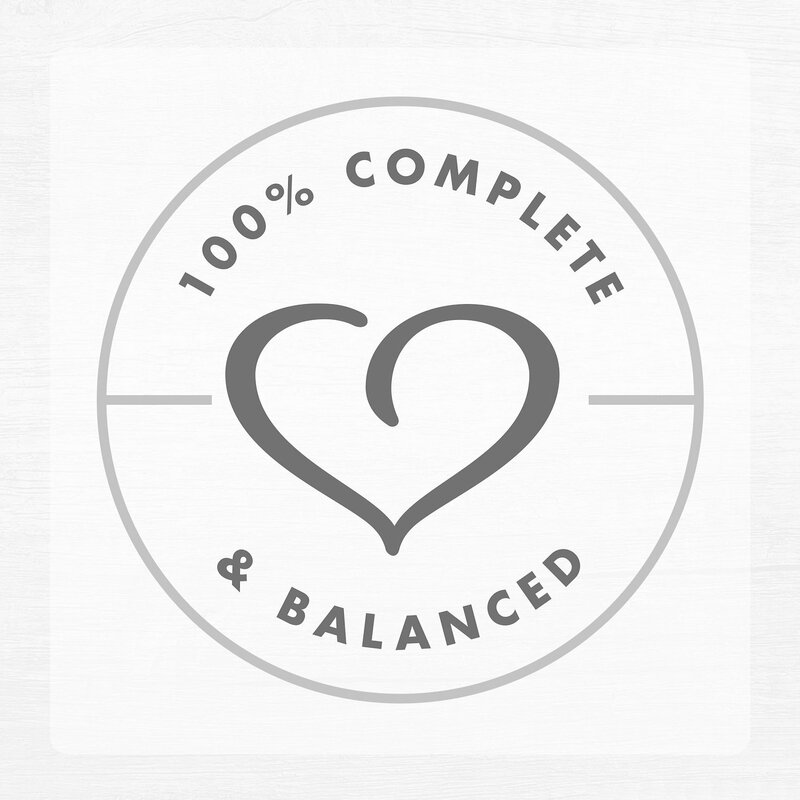 Give her 100% complete and balanced nutrition to help support her overall health and wellness throughout every stage of her life, along with the exceptional taste she expects at mealtime. Real oceanfish is the first ingredient, delivering a protein-packed flavor she'll crave. 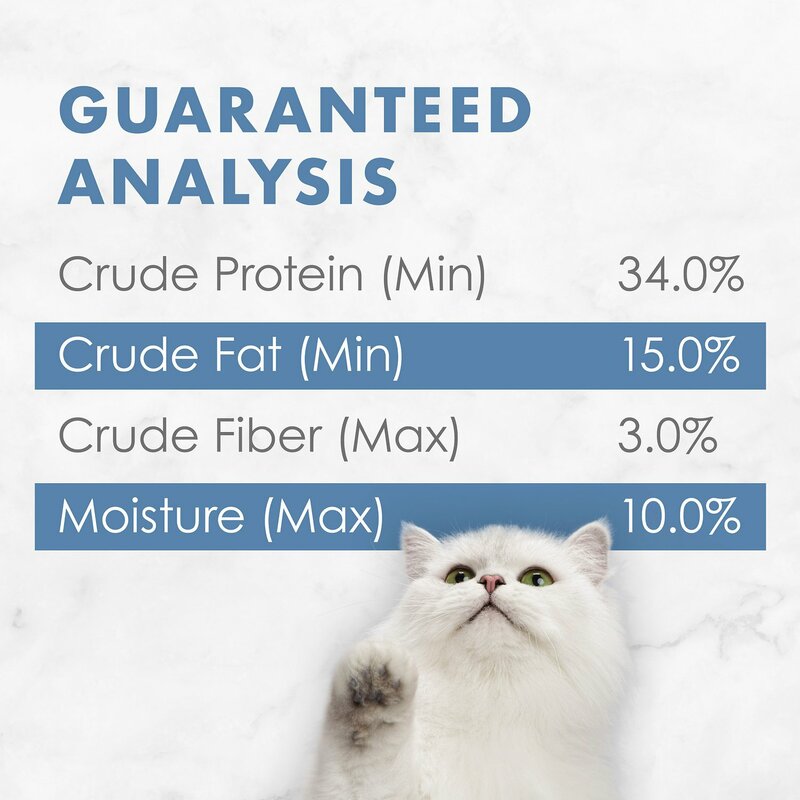 Made with delectable, natural ingredients plus vitamins and minerals to meet your kitty's nutritional needs. Naturally delicious crunch in every bite satisfies your feline's perceptive palate. Made without artificial colors, flavors or preservatives for a meal that's as real as it is delicious. Exceptional taste cats love will bring her back to her bowl every night. Ocean Whitefish, Corn Gluten Meal, Whole Grain Corn, Poultry By-Product Meal, Barley, Animal Fat Naturally Preserved With Mixed-Tocopherols, Soybean Meal, Natural Liver Flavor, Rice, Calcium Carbonate, Phosphoric Acid, Salt, Malted Barley Flour, Natural Flavor, Brewers Dried Yeast, Choline Chloride, Potassium Chloride, MINERALS [Zinc Sulfate, Ferrous Sulfate, Manganese Sulfate, Copper Sulfate, Calcium Iodate, Sodium Selenite], Taurine, VITAMINS [Vitamin E Supplement, Niacin (Vitamin B-3), Vitamin A Supplement, Calcium Pantothenate (Vitamin B-5), Thiamine Mononitrate (Vitamin B-1), Riboflavin Supplement (Vitamin B-2), Vitamin B-12 Supplement, Pyridoxine Hydrochloride (Vitamin B-6), Folic Acid (Vitamin B-9), Vitamin D-3 Supplement, Biotin (Vitamin B-7), Menadione Sodium Bisulfite Complex (Vitamin K)], DL-Methionine. A650317. 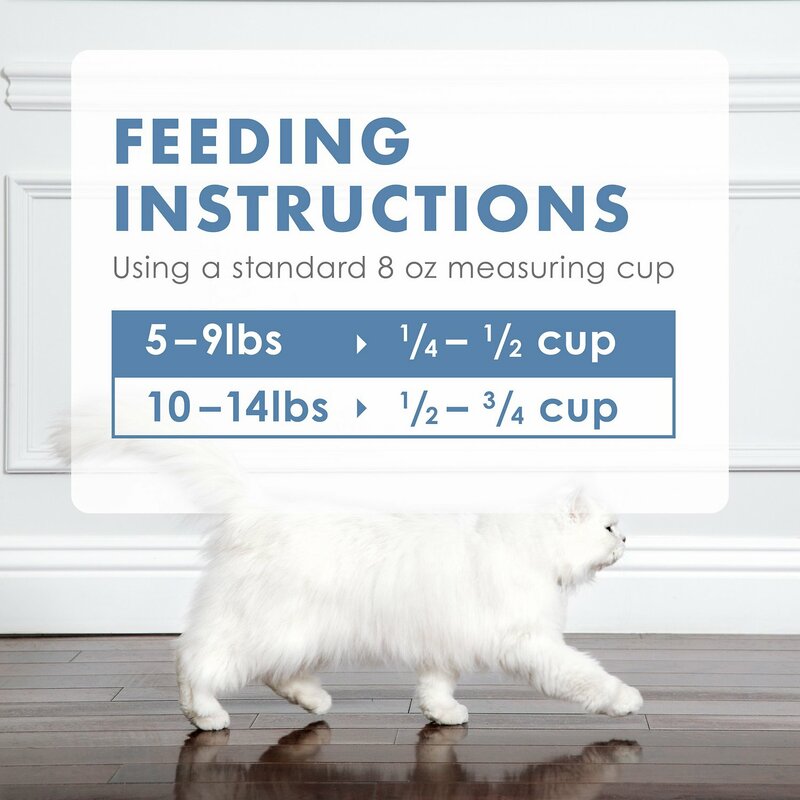 These amounts are averages and your cat's needs may differ. Feeding should be adjusted as necessary to maintain an ideal body condition. Kittens: Kittens generally nibble solid foods at 3 - 4 weeks of age. Keep moistened Fancy Feast available to these kittens at all times. After weaning, at 6 - 8 weeks of age, kittens will normally eat dry or moistened food at will. If water is added, use no more than one part warm (not hot) liquid to three parts Fancy Feast, changing frequently to ensure freshness. Reproduction: Fancy Feast provides the extra nutrition needed by reproducing females in stages of gestation and lactation. Food consumption may vary during gestation, so feed the amount needed to maintain the pregnant female's good body condition. Food intake may double or even quadruple during lactation. Changes in your pet's diet should be made gradually to allow your pet to become accustomed to a new food. Substitute small amounts of the new food for the old food, gradually increasing the amount of the new food while decreasing the old food, over a period of 7 - 10 days. All 3 of my girls like it, so it's a winner in my book. 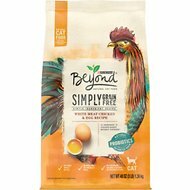 I always love to give my girls a variety, so it doesn't get boring, so am so glad that I tried this, to include with my other Purina dry food, where the first ingredient is actual real meat. I also have the Chicken, which they like, so I mix them both together. I feed their second meal with Purina One Tender Select, and mix that with Cat Chow Gentle, which contains Probiotics. My cats generally do not like dry food. But this is a winner in my house. They love it. They love the fish variety...I'm convinced it is the fish that they are craving. While other food is getting more expensive, Fancy Feast is the same price. It's the perfect dry cat food to leave out for the night-time munchies! My cats have always loved FF dry food. But I really don't like the corn, barley, and animal fat ingredients. I use the FF dry as a treat only because they really love it. I feed Nutro Essentials in their bowls. They happily eat the healthier ingredients and enjoy a treat now and then. My cat only eats Fancy Feast products. By choice these are the only cat food products she'll eat. She extremely particular about what she'll eat. I thought, oh something new. Let's see if she likes FF Natuals. She loved it right away. 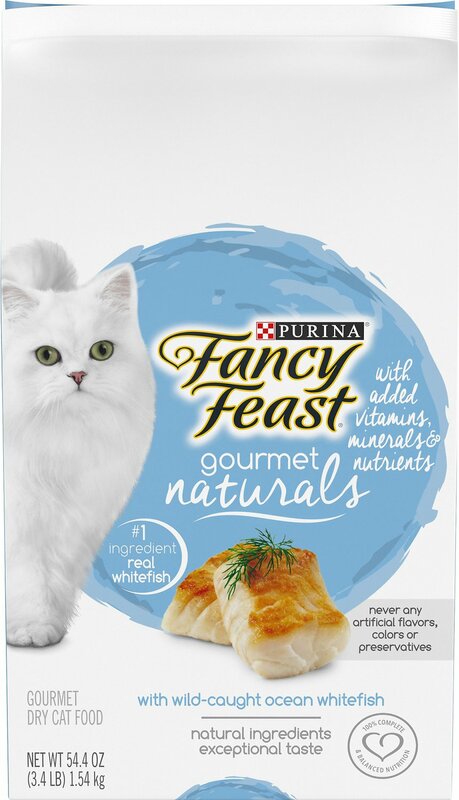 My cat likes only fish-flavored dry and soft foods and is finicky about trying something new. I like that the fish is first on the ingredients list and am very pleased that she likes the taste! My two cats don’t like it. My cats have been eating fancy feast since they were little. I purchased this bag thinking they would like it. They love fish but not this one. I have do idea why. My cats love all Fancy Feast products! The pate wet food is their favorite and this dry food is just the right size for my older cats. My cats love Fancy Feast kibble, I thought I would try this flavor for a bit of a change from the usual. They are eating it, but if they have a choice they prefer the chicken. My cat enjoys this flavor and ate it the first time I placed it in her dish. supermarket only has small sizes of this food. This was a good value.